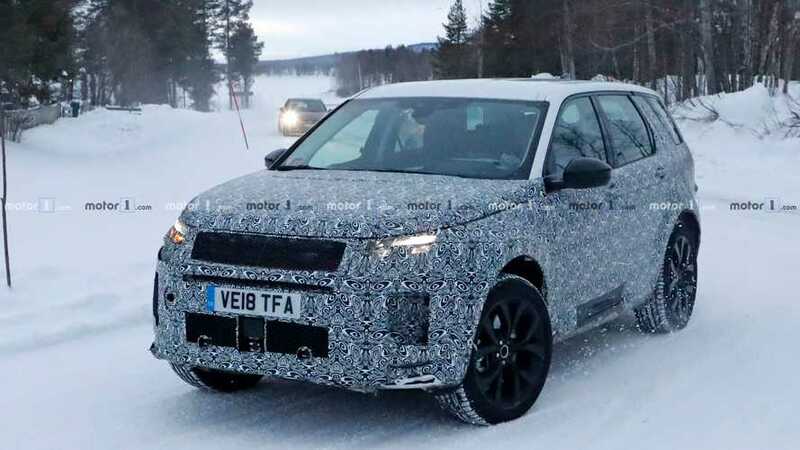 The facelifted Land Rover Discovery Sport made another appearance for spy photographers today, caught this time in the snowy north for cold-weather testing. 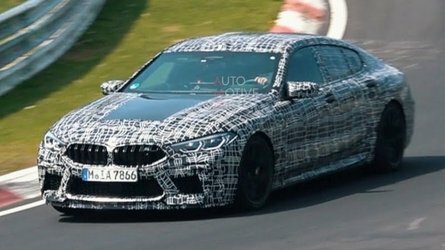 We saw other prototypes testing in warmer weather just a few days ago wearing much the same camouflage, albeit without snow plastered into the wheel wells. These two test vehicles also have black tape in numerous spots for unknown reasons, notably at the driver side door, rear fenders, and around the front fascia. Did the testers receive a bit of battle damage while traversing the snow-covered roads north of the Arctic Circle? In any case, we’re treated to the same level of camo all around, with swirl wrap everywhere but the roof, and concealment panels obscuring details up front. 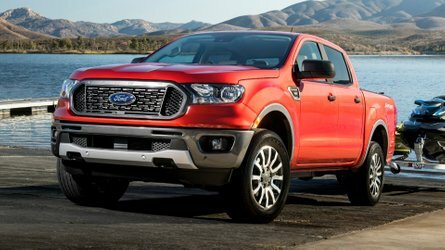 We can still spot the new headlights, however, and as with trends on other SUVs, the lower intakes in the front fascia will almost certainly grow in size. The rear receives some design changes as well, notably with the tail lights but the lower fascia will likely have some minor differences versus the current model. Of greater significance is what lies beneath. 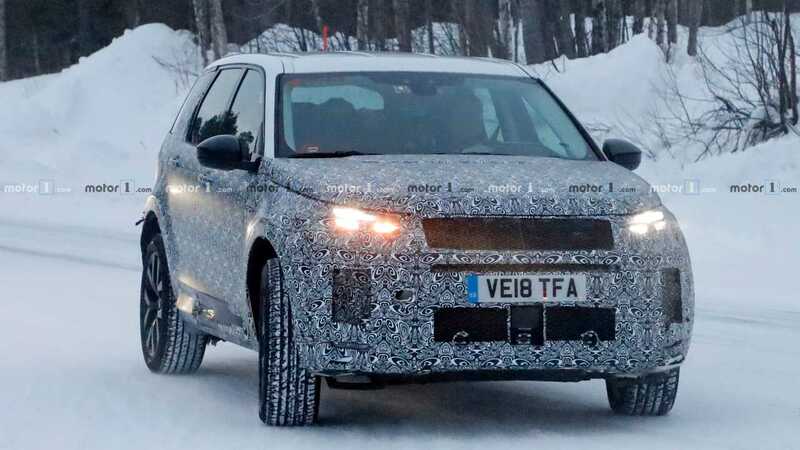 The refreshed Discovery Sport will actually have a reworked undercarriage based on the current platform, designed to handle the added heft and space of batteries for a hybrid powertrain. 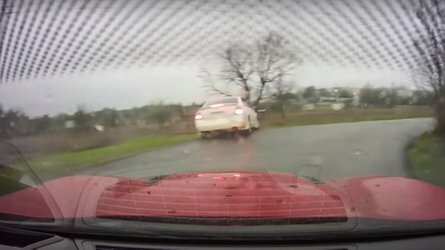 The interior is also expected to receive a tech upgrade with multiple screens and the latest add-ons, not unlike what we currently see in the Evoque. The new Disco Sport is expected to arrive later this year as a 2020 model. 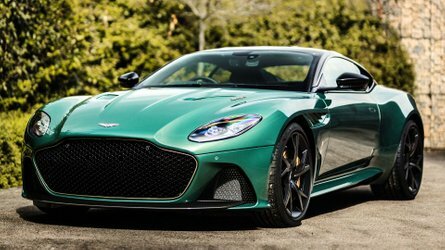 Its longevity is in question, however, since a completely new model is expected for 2022. Whether it’s pushed back or not will likely depend on the success of the facelifted model, but Land Rover certainly isn’t letting any grass grow in the competitive SUV market.